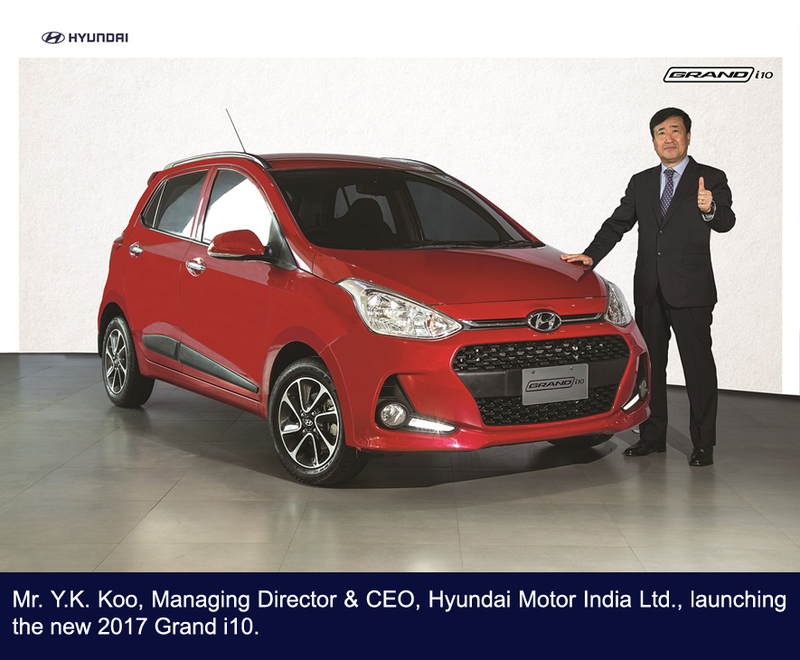 Hyundai Motor India Ltd., the country’s second largest car manufacturer and the largest passenger car exporter, has launched the new 2017 Grand i10. The changing market trends and rising customer aspirations has always been the key driving force at Hyundai Motor India. Considering the evolving market dynamics and customer voice, Hyundai Motor India proudly presents the new bold & stylish 2017 Grand i10. Redefined exterior styling, hi-tech features and improved performance and fuel efficiency are the key highlights of the new 2017 Grand i10. The new 2017 Grand i10 is specially crafted for aspirational customer who lives high on social status, follows modern tradition & values and is above stereotyped thinking. New avatar of Grand i10 is a perfect combination of performance and fuel efficiency. The new 1.2L DSL engine & petrol 1.2 L are much more refined, responsive and easy to drive. The exterior projects bold, sporty and dynamic styling, while the interiors echo generous flair of comfort, luxury and hi-tech appeal. The new 2017 Grand i10 comes with many design refinements and projects Hyundai’s new design identity with the cascade design front grille and aerodynamic profile, characterized by signature Fluidic Sculpture 2.0 design language which gives the new 2017 Grand i10, a curved natural flowing line. In the front, the new 2017 Grand i10 features new radiator grille design, redesigned new bumper and new LED DRLs (daytime running lights) to give the front more bold and sporty look. On the rear, new 2017 Grand i10 comes with dual tone bumper lending a bold & sporty appeal, along with aesthetically incorporated reflectors. Also, in the front, air curtain has been added which will be segment first. 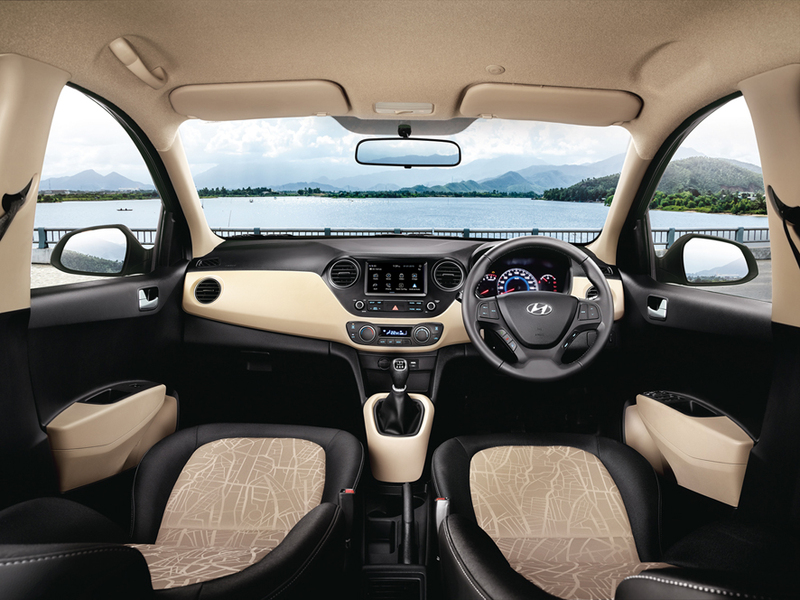 Design of diamond cut alloys and wheel covers has been refreshed to boost the sporty quotient while the side body moulding has become sleeker, thus offering a fresh profile to the new 2017 Grand i10.